Honor today, at an event in London, released the latest product in its flagship Honor X-series range, the 7X, which delivers an unparalleled full-screen viewing experience at an extremely competitive price point. The Honor 7X is the first smartphone to feature Honor FullView Display; a5.93 inch edge-to-edge, bezel-less screen design that provides remarkable display qualityand achieves an extraordinary high screen-to-body ratio, meaning that users can enjoy striking images on a sleek, compact phone which comfortably fits into the palm of their hand. In addition, the max-ed bezel-less screen and dual-lens 16MP + 2MP rear camera with large aperture and fast focusing means DSLR-level photo quality and shooting experience is at selfie-lovers’ fingertips. Combined with a powerful octal-core Kirin 659 and graphics processing unit (GPU), the Honor 7Xprovidesa clarity and user experience that is incomparable at this highly competitive price. The Honor 7Xis equipped with an18:9 ratio, 5.93inch FHD+ display with 2160 X 1080 resolution, providing ultra-high definition and remarkable display quality. With its metallic chassis and perfectly rounded edges, users can experience exceptional futuristic design. The Honor 7Xhas an 18:9 screen to allow gamers to see more when in the midst of the action. Additionally, the 18:9 screen ratio is close to the 21:9 ratio used by cinemas, meaning that the screen delivers an outstandingly close cinema-like experience to users. The Honor 7X doubles the productivity and fun with its One-key Screen Split function. From email andWhatsApp to Netflix and YouTube, multi-tasking has never been faster and easier. The dual-lens 16MP + 2MP rear camera captures people and scenes in the highest definition. With Phase Detection Auto Focus (PDAF) and the latest algorithms, the Honor 7X enables focusing in as fast as 0.18 seconds. Combined with a large aperture (F/0.95 – F/16) that gives images a DSLR-level depth of field effect, Honor 7Xlets everyone become a professional photographer. The Honor 7X is powered by an octal-core Kirin 659 processor at 2.36GHz and is equipped with 4GB RAM and EMUI5.1. This ensures superb performance when multi-tasking and gaming, and meets the needs of the most demanding apps. A microSD card of up to 256 GB can be used to increase data storage so that hundreds of TV episodes can be downloaded and stored to watch offline. Smart optimization and file management features prevents the degradation of Android performance over time. Even with the larger FullView Display, a single charge of the 3,340 mAh battery enables Honor 7X to be on the go for more than one full day. Thanks to the power saving technology and the Ultra Power Saving Mode, users can now enjoy a full season of their favorite TV series or 91 hours of music, on one charge. 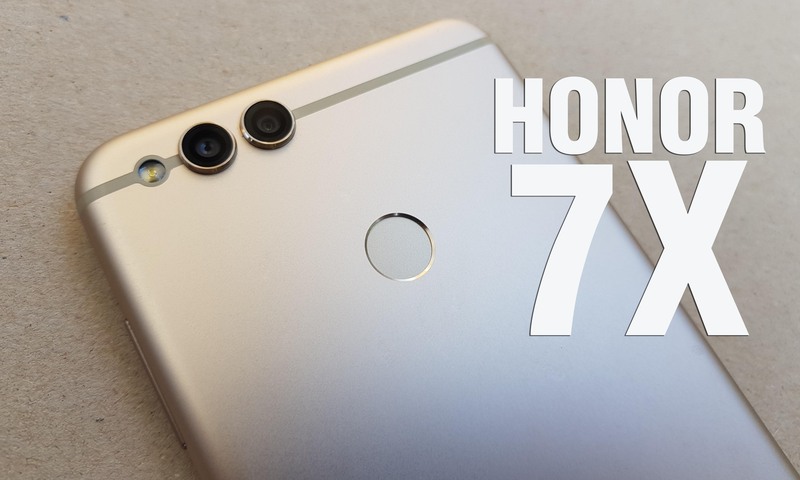 “The Honor 7X is the leading choice for users who want to enjoy rich functionality with the benefits of a bezel-less phone, while on a limited budget. Additionally, Honor is immensely proud of the quality control it undertakes in producing every phone – Honor 7Xwas dropped over 4,800 times in the lab in testing – so users can be assured that better value for money doesn’t compromise our high-end quality.” said George Zhao, President, Honor. “We are thrilled to partner up with Huawei for the Honor 7X. Given its excellent price, specifications and honor’s technology, we’re sure it will be an amazon bestseller.” said Noor Patel, Director, Amazon India.